Plans are underway to reopen the Surrey House in Harrison if grants can be obtained to purchase and renovate the building. The goal is to take the historic two-story building that most recently housed a restaurant and bar and turn it into a mixed-use facility to help grow retail businesses. Tenants could include a small restaurant and community kitchen, and possibly several hotel rooms and a spa, according to an article in the March 1, 2012 issue of the Clare County Cleaver. The Middle Michigan Development Corporation, a private, non-profit economic development organization responsible for the industrial and technological development of Clare and Isabella Counties, and the Small Business Initiative Council, an organization that seeks to foster entrepreneurial activity the county and create an atmosphere that is inviting for business growth are assisting in the project. The city of Harrison agreed to the project including taking title to the building as long as the city would not be under any financial obligation if grants do not cover the costs involved. The Surrey House has been closed since January 21011. 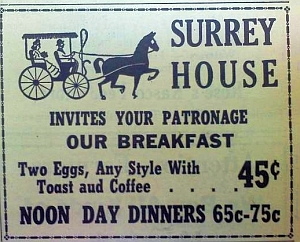 This is an ad that appeared in the Clare County Cleaver not long after the Surrey House reopened. The building was constructed around 1880, a time when Harrison was booming thanks to the logging industry. Trains pulled into town on a daily basis bringing lumberman, storekeepers, families and even criminals like the infamous Jim Car (one of the most despicable men Michigan has ever produced), and taking lumber back south to construct cities in Michigan and in the Midwest. Rumor has it the building is haunted by a small boy that prowls the rooms upstairs. While his is a restless and sometimes mischievous spirit, it is not an evil one. Moving items from one location to another or opening closed doors is about the worst a waitress at the restaurant told me several years ago. It will be nice to see the building reopened for use by more than just restless spirits. On Feb. 16, 2012 a newspaper article was placed in the Clare County Cleave on page 3 describing MMDC’s Incubator Plans. We are concerned about these plans. 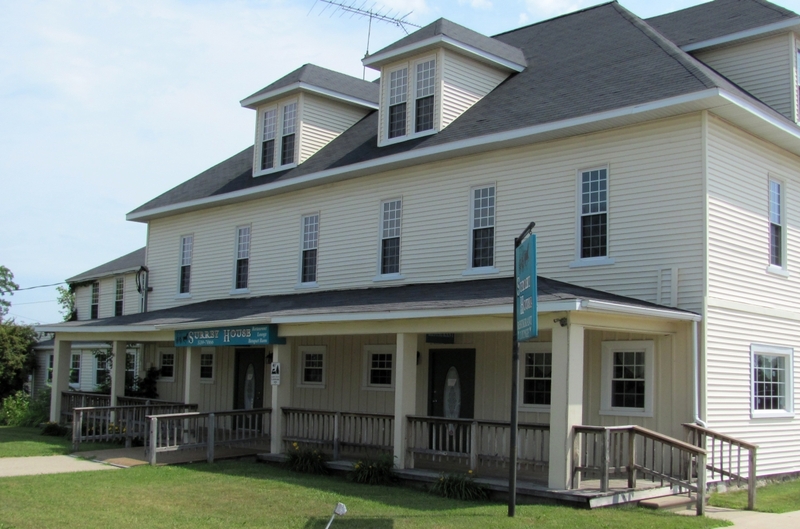 The article said that Harrison had a deficit of accommodations and many business choose to stay at the Doherty in Clare. This statement is misinformed. If you are from the area you know that there IS NOT a deficit of rooms in Harrison. The reason business people go to the Doherty is to drink in their bar without having to worry about driving intoxicated. We as motel owners have been told this information by several guests and also know there is no shortage of available rooms in Harrison. 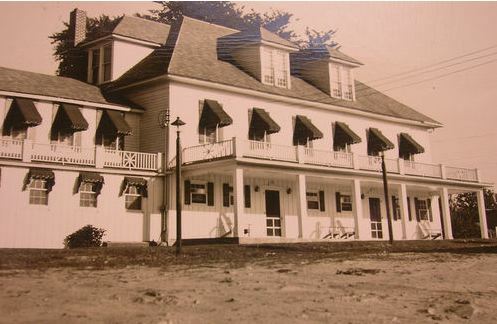 The MMDC would have had to contact all of the Harrison motels to know their occupancy rates. If MMDC could prove a deficit of rooms, Maybe a better plan would be to approach a motel with the idea of expansion. For MMDC to proceed with such plans using invalid information is a disservice to the community and the organization. It has been rumored that the main reason is to help Harrison’s previous mayor to unload his property. Note: Calls and concerns brought to MMDC attention went unanswered! I’m really impressed with your writing skills as well as with the layout on your weblog. Is this a paid theme or did you modify it yourself? Either way keep up the excellent quality writing, it is rare to see a nice blog like this one these days. Thanks for your kind words. The theme is a free one from Word Press. I change the theme every once in a while and this one caught my eye. Take care.